10 IndieWire readers have the chance to win a 'Lo and Behold' film poster signed by none other than director Werner Herzog. 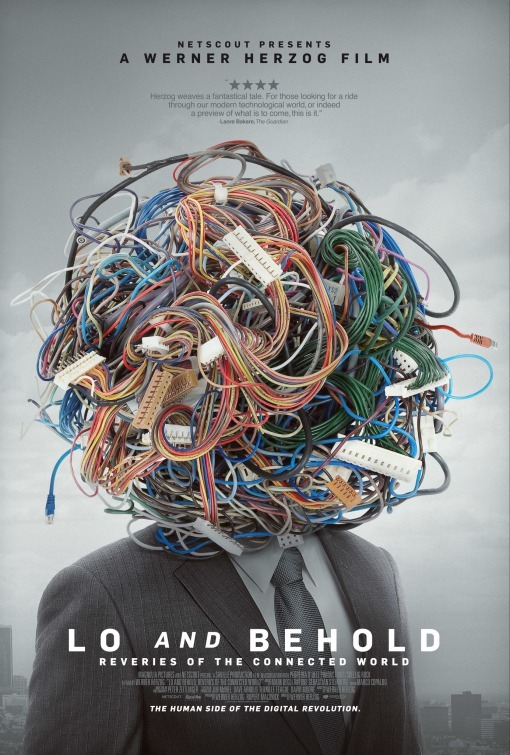 Last week, IndieWire published its list of the 20 best indie movie posters of 2016, and included among the group was the eye-catching one-sheet for Werner Herzog’s documentary “Lo and Behold: Reveries of a Connected World.” The feature explores the existential impact of the internet and technology on human life, and the poster created the perfect image to symbolize just how much we’ve lost our minds in the entangled strings of the world wide web. To celebrate this amazing poster, IndieWire is partnering with distributor Magnolia Pictures to give 10 readers the chance to win a personal copy of the one-sheet, signed by none other than Werner Herzog. From now until Friday, December 16 at 11am ET, readers can enter to win using the registration form below. All that is required is your name, email address and social follows on our Facebook, Twitter and Instagram pages. Winners will be notified December 16 at or around 3pm ET. This sweepstakes is only open for U.S. residents. “Lo and Behold” is now available on DVD and Digital HD.